Released a few months ago, the LiteOS-driven Huawei Watch GT is now finally available for purchase in the US. Listed by Amazon for a regular price of US$199.99, this smart wearable will start shipping on February 19. Its specs and features include continuous heart rate monitoring, built-in GPS, sleep tracking, and more. Huawei announced the waterproof Watch GT smart wearable back in October 2018 and released it on various markets one month later. However, bringing it to the US took a while, but now the Huawei Watch GT can be finally acquired from Amazon for a full retail price of US$199.99. While this wearable lacks cellular connectivity, it comes with built-in GPS connectivity and is fully compatible with iOS and Android handsets. 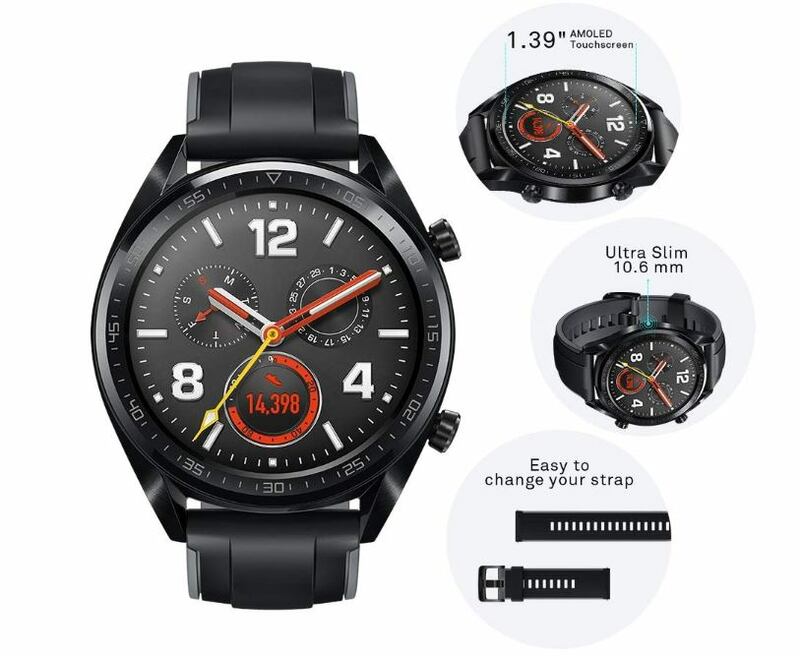 The Watch GT features a 1.39-inch AMOLED capacitive touchscreen display with 454 x 454 pixels, 16 GB of memory, 128 GB internal storage, all driven by an ARM Cortex-M4 processor. According to Huawei, the 420 mAh non-removable lithium-ion battery can deliver no less than 14 days of typical use. Unlike most of its competitors, the Huawei Watch GT runs LiteOS, which is a lightweight operating system for wearables made by Huawei. This piece of code includes custom watch faces, notifications, and sleep/exercise tracking. Those eager to place their orders can choose between the black/black strap and stainless/brown strap color combinations, both priced at US$199.99. Amazon will start shipments on February 19.